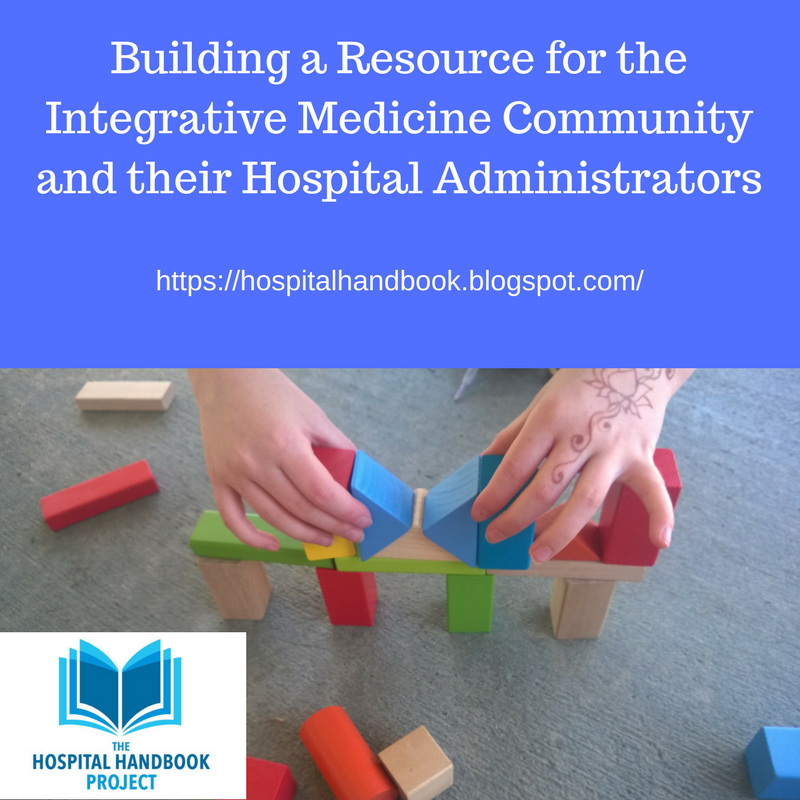 Are you a hospital administrator, department head, or in some capacity working with integrative medicine practitioners such as acupuncturists, health psychologists, chiropractors, massage therapists, or yoga therapists? Then, the "Hospital Sponsor Favorites" resource list is right for you. this is a pdf of recommended reading to be informed and successful as an administrator of an IM clinic or program. It is a pdf of recommended resources from books to online links to research article citations. Contact me via the webpage if you are interested. If you use the links above to buy an item, a few pennies per purchase will go toward supporting this resource. To contribute directly to the Project (no perks, just 100% going toward operating expenses and the basics of resource-creation), contribute via our website. 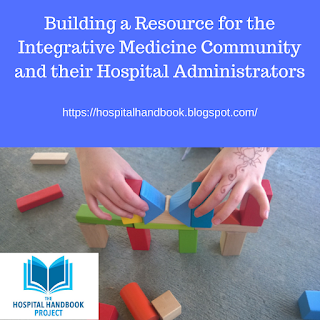 *hospital sponsor = a hospital administrator or department head of an integrative medicine (IM) clinic or administrator or supervisor/manager who works with IM professionals. How do we make Integrative Medicine Accessible?